Build Your Dream Portal & claim your Market! RG Infotech, leading Web Portal development company, has helped many Enterpreneurs and Business houses to build their dream portal. An effective and efficient web portal portrays professional image of your business to the audience. 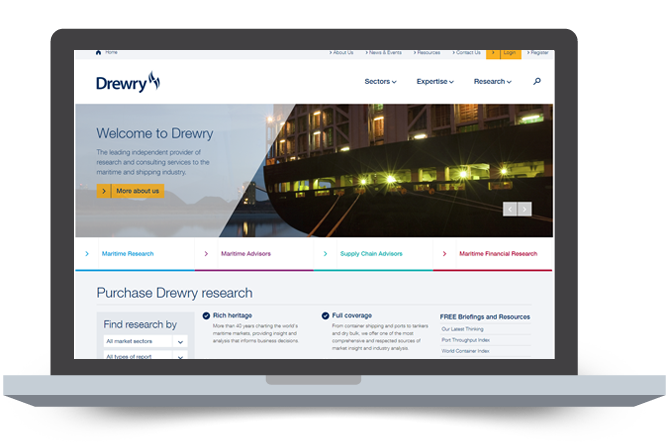 As a company we understand the importance of building a professional web portal with beautifully presented content. We build consumer centric web portals which offer effective content to serve relevant information. The Portal's architecture also protects data from unauthorized access by hiding technical implementations and enforcing anti sql-injection techniques. Our web portal caters to different user-groups based on their access level. Dashboard, Easy searchable content, and Cross-navigation are inherent parts of any successful web portal. Our passionate programmers develop every page as if it were the landing page, offering best portal experience to visitors. We provide easy navigation to let visitors move across the portal effortlessly, so they keep coming back! 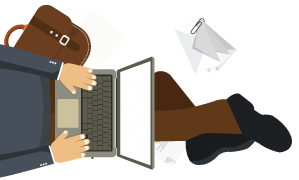 We provide admin side controls for in-depth reporting and content updation. Our web portal solutions come with variety of powerful management tools to monitor and track user behaviour. Promotion of Web Portal is an important factor while developing pages of a portal. We ensure all portal pages maintain user friendly urls and crawlable content, making the entire portal search engine (SEO) friendly. Offering advance OTA services for B2C & B2B travel portal development with GDS /API /XML integration. Customized and user friendly job portal solutions as per requirements. Creating web communities with many robust content and collaborative features. Catering an internet portal dedicated to meet every aspect of the consumers needs in the real estate industry. As a web portal development company, we also offer web portal consultancy services. Customer portals allowing customers to access authorized data. Corporate portals providing easy access of product and services. Enterprise portals for seemless data exchange between employees. Business portals to facilitate and transact services online. 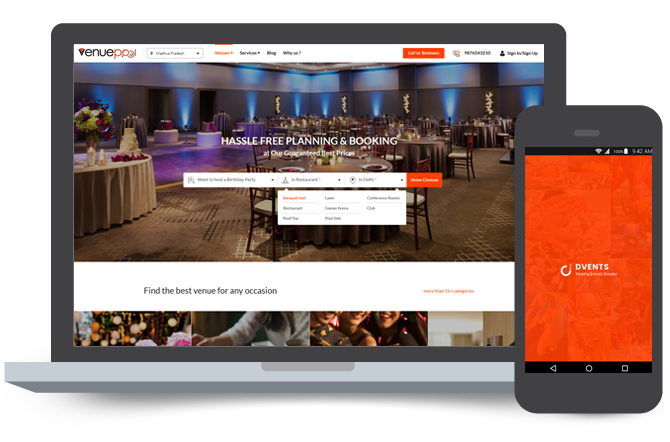 Venuepool is a comprehensive online platform to find venues and services for any event. It's quick, easy, reliable and absolutely FREE! Mobile Application of Venuepool gives the feasibility of booking venues anytime anywhere on your mobile. 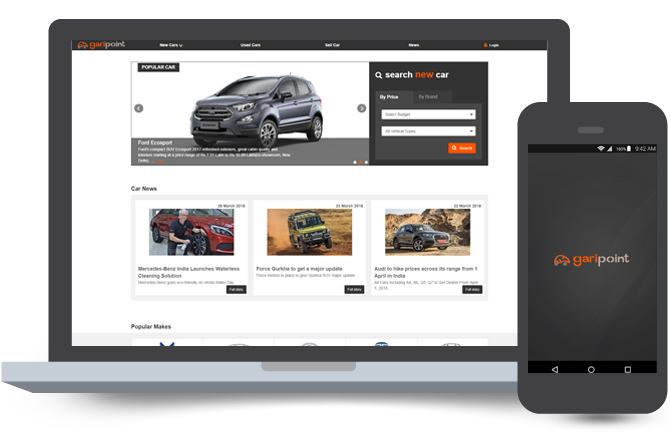 GariPoint is a comprehensive web portal for cars. It enables and helps car consumers to gain information and insight about the growing car industry in India. Mobile Application of Garipoint gives the feasibility of booking cars anytime anywhere on your mobile. Route capacity Database is the collection of the entire main line services under East West and North South trades. Forthwith, intra-regional services are not a part of it.